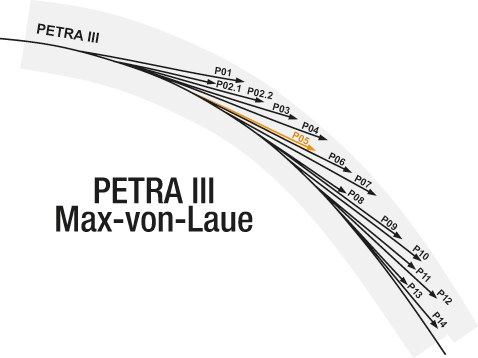 3D reconstruction of pheromone releasing "pockets"
The location of P05 in the Max-von-Laue Experimental Hall is marked in orange. The imaging beamline (IBL) is dedicated to micro- and nanotomography at energies between 5 keV and 50 keV. The flexible design of the experimental stations allows for the investigation of samples with diameters ranging seamlessly from 100µm up to 10 mm with adequately adjusted resolution for each field of view. Phase contrast imaging methods like inline phase contrast and grating based phase contrast are available besides regular absorbtion contrast imaging. Due to the extraordinary high brilliance of the new storage ring PETRA III, the extremely low emittance of 1nmrad and the high fraction of coherent photons even in the hard X-ray range an extremely intense and sharply focused X-ray light is provided. 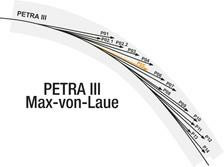 Therefore, the Helmholtz-Zentrum Geesthacht takes active part in the PETRA III project by construction, operation and funding of the Imaging BeamLine (IBL). 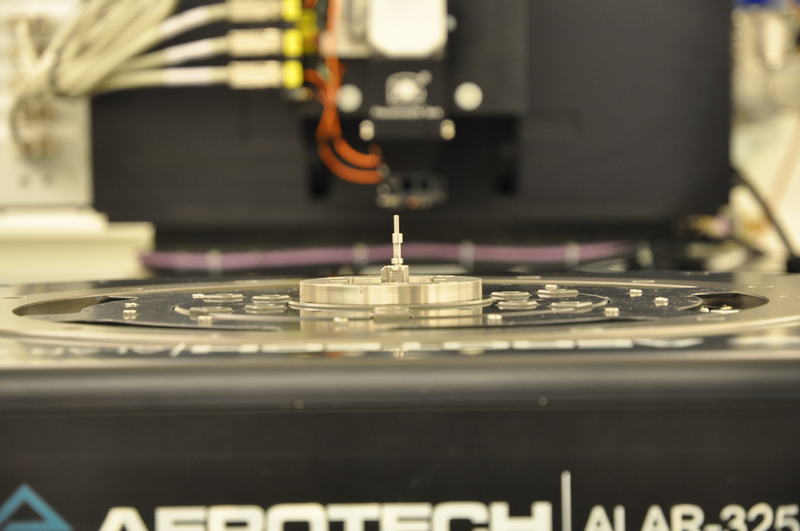 This beamline is optimized for micro and nano tomography applications. To provide optimized setups for a broad range structural length scales, the Imaging Beamline IBL is equipped with two tomographic endstations, the micro  and the nano  tomography endstation. The energy range at the IBL is tunable between 5 and 50 keV. The overall length of the Imaging Beamline is 87.5 m. For tomographic measurements at higher energies up to 150 keV an additional micro tomography setup at the HEMS beamline is available. F. Wilde et al., AIP conference Proceedings 1741 (2016), 030035. M. Ogurreck et al., Journal of Physics: Conference Series 425, 18, (2013) 182002.